Keeping in mind the diverse requirements of our clients we are involved in offering an extensive range of EPS Disposables Machine. Offered EPS Disposables Machine are highly reckoned among our clients due to their various attributes such as perfect finish and high efficiency in nature. This EPS Disposables Machine is customized as per the patron’s choice. 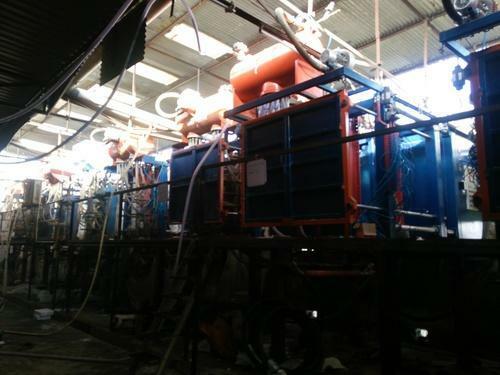 Incorporated in 1997, DS Eps Machinery is a well known manufacturer and supplier of Fully Automatic EPS and Thermocol Glass Making Machine, EPS Thermocol Block Mold Machine, Fully Automatic EPS Shape Molding Machine, EPS Shape Molding Machine, Thermocol Packing Box, SS Injectors, EPS Thermocol Recycling Machine, Pre Expander Machine, EPS Filling Guns, EPS Molds, EPS Thermocol Sheet Cutting Machine, EPS Machinery and EPS Machinery Parts. All our supplied engineering units are superior in quality and best for use in the industrial sections running for heavy product production. Finest employment of the all raw sturdy inputs in these packing solutions and engineering products is in accordance to the global norms and parameters. Safe to heavy products in different production areas all our packs have longer shelf life and optimum working throughout the life.